Although sealants are highly effective in preventing caries in children, placement rates continue to be low. The authors’ goals were to implement and assess the performance of 2 existing sealant quality measures against a manual audit of charts at 4 dental institutions and to identify measurement gaps that may be filled by using data from electronic health records. 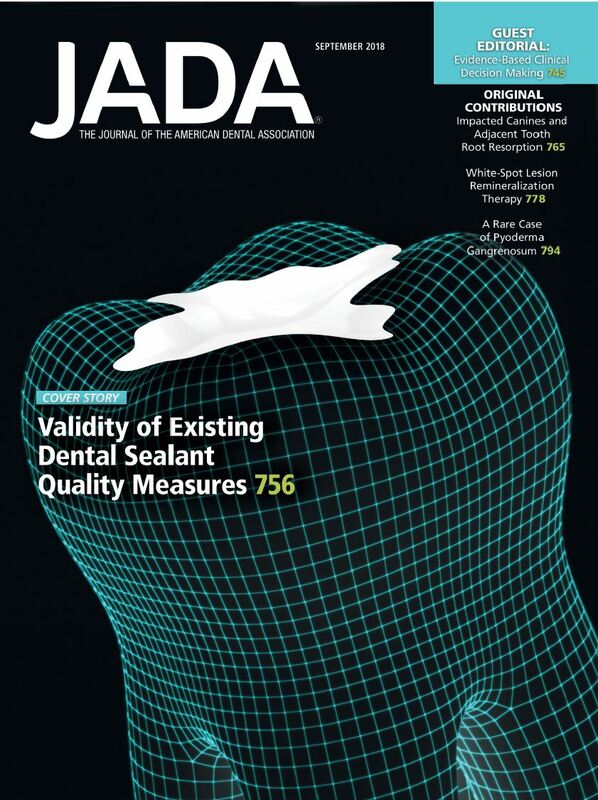 Key Words: Dental sealants; oral health; quality of care; caries risk assessment; caries.